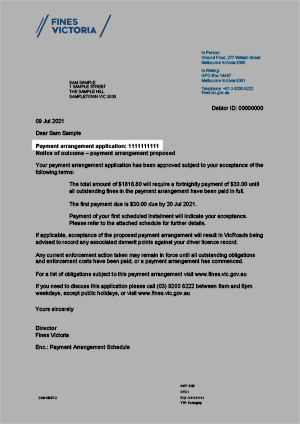 Have you received a text message from Fines Victoria? If you’ve received a fine, you can pay it quickly and easily online. If you don’t want to pay online, you can pay by phone, mail, in person or with BPAY. What's the cost of not paying? Enter your obligation number to find out how much more you'll have to pay if you ignore your fine. CalculateCan't find your obligation or infringement number? Not sure what to enter? Did you receive your fine by mail? 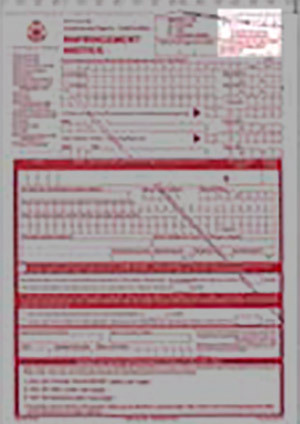 Did you receive your fine in person, or is it handwritten? Are you on a payment arrangement? Are you on a payment plan or payment order? (located in the top-right corner on the front of the notice you wish to pay). Note: Handwritten fines cannot be paid with BPAY. Note: A receipt will not be issued for payments received by mail. Call 1300 735 124 and quote the reference number on your notice. You can pay with either Visa or MasterCard. 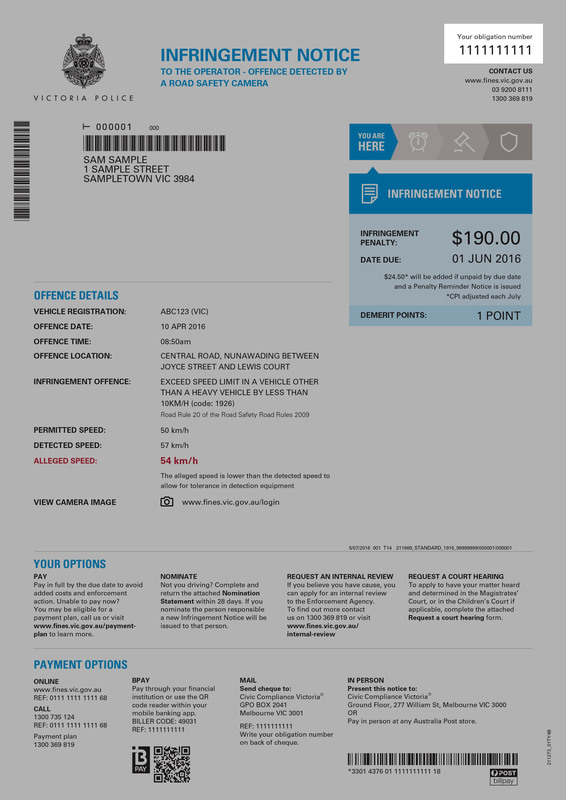 Present your Infringement Notice, Penalty Reminder Notice or Notice of Final Demand before the due date at any Australia Post Office. We’re available between 9am and 5pm, Monday to Friday (excluding public holidays). Note: AMEX and Diners cards are not accepted. If you have outstanding Sheriff’s warrants you’d like to pay in person, you can visit your closest Sheriff’s office location. apply for a payment extension.